Yes, its official now! 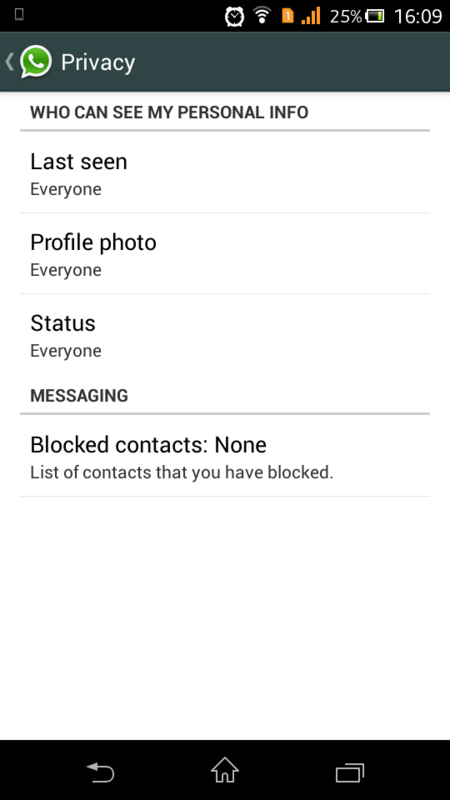 You can hide your last seen along with your profile picture and status in WhatsApp for Android, reported BGRIndia . Yesterday we saw a deal to sell WhatsApp to Facebook and today we can hide our last seen, just like what we already did in iOS. This was actually a major privacy issue faced by every age group audience. One thing important thing is that this update has not landed on Google Play till yet but what you can do is just visit this LINK from your chrome or any other browser running on your android device, but first uninstall the previous version so that you can download this newly updated version. Stay tuned, this just the starting of Facebook effect! Vivo Windows Phone 8.1 mobile to run Android as dual boot?